Mart & Shakespeare are not normally mentioned in the same sentence. Those who know me may be a little surprised to see that I was taken to a showing at National Theatre Live. A cinema in a large city near us had a live streaming of the play Macbeth by Shakespeare from Manchester. I was expecting this to be complete hell if I am to be honest. As my wife is an English teacher and she going to be teaching this again, she wanted to go and see her favourite actor Sir Kenneth Branagh in full flow. I do know that Shakespeare has done some dark plays in his time and this is perhaps is the darkest. With that in mind, the wife said I would like it, so I went along. The quality of acting was top-notch as you expect, yeah there were people getting killed all over the place and three babbling witches appearing now and again. The only thing was I couldn’t understand some of it. The words like, thou, thee, duth, or phrases like “We must hence before the army arrives” – which I sort of took to mean “quick chaps – do a runner!” Apparently trying to tweet in the theatre is not acceptable either, as the elbow in the ribs seemed to suggest. “Pray fair maiden, thy elbow dust landeth in ones ribs, would thou refraineth from such action.” I must say it was pretty good once the wife explained to me what it was all about. What happened to our English language? How on earth do they remember all those lines for the play? This took me back to my school days where I swore I would never get into Shakespeare again. I did manage to hold out for thirty something years on that one though. In my personal opinion, I don’t think the line “Is this a dagger which I see before me, The handle toward my hand?” has the same effect as Arnold Schwarzenegger’s classic line from Terminator 2 – “Hasta la vista, baby”. But many would argue, and each to their own. But, I have been enlightened non the less. Saturday was a busy day, running around doing what seemed like nothing. When I got back I got changed to go straight out onto the car. 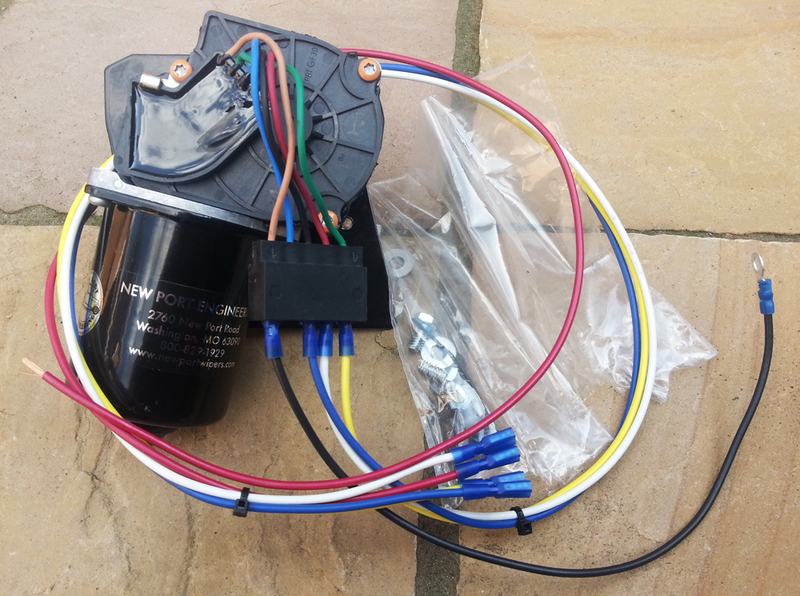 I had a job in mind which was to fit my New Port engineering 2 Speed Wiper Motor. I have uploaded a video of it working on my YouTube channel as well as writing a review of the part and a fitting guide for the part. I have added the quick links below. Thanks to Adam at Mustang Maniac who got me the part to put in the car. I managed to but black insulating tape all over the remaining wires under the dash and get them out-of-the-way. All of a sudden the car does not look such a wreck with a footwell of wires laying and dangling all over the place. For that reason alone I am well pleased. Given the choice? Well the blog is not called One man is Macbeth! This entry was posted in Car, Photo's, Reviews and tagged 2 speed wiper motor, ford, ford mustang, Macbeth, Mustang, Mustang Maniac, new port engineering, Shakespeare. Bookmark the permalink. Ok i admit I was struggling to get my head round some of it as you had to concentrate all the time. And some drive great Mustangs! William S. was a man of his time. Carroll Shelby was a man who also left a legacy that will never be forgotten. Me I can’t even drive my mustang, just yet anyway.